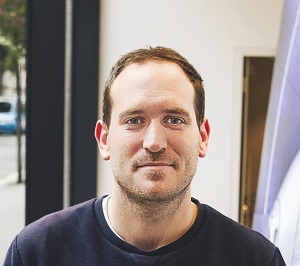 Rob Walsh, Head of Visualisation at PriestmanGoode, shares how advances in technology, like V-Ray, and collaborating with YellowDog for cloud rendering are helping the visualisation team to push the speed of rendering to new heights. PriestmanGoode delivers design and brand experiences for a host of leading international companies. The visualisation team have worked for some of the biggest aviation brands, rail networks, cruise ships, and products: helping clients from concept through design development and with global marketing campaigns. Rob gives some first-class insight into high-end aircraft and transport visualisation. What has changed most over the last decade? For me personally, I spend so much more time working directly with our clients than I did several years ago. I’m heavily involved in creative direction: from initial concept development through to press and broadcast marketing material. Every client has a brand and getting that visual identity across in a render is more important now than it was several years ago. I still get my hands dirty from time to time but I don’t have 3ds Max open on my workstation as much as I once did. 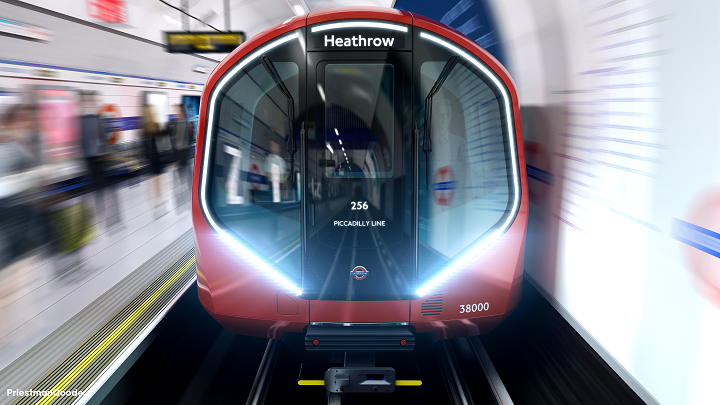 Probably the work we did with TFL for The New Tube for London back in 2014. For me, this was the first time that we really hit a visualisation quality that made people sit up and take notice. The client loved it, the design was great, and it was well received by the public which is increasingly important in this industry. The release of that project marked a big jump for us as visualisers but i can see how we’ve improved even since then. We used V-Ray for the rendering; it was render intensive due to the amount of glass, lights and 3D data. It was a big ask from V-Ray with a lot of GI calculations, but it was definitely worth it and V-Ray took it in its stride. V-Ray’s versatility is what makes it perfect for our productions. We need a tool that is as comfortable rendering interior as it is exterior with occasionally massive data sets. It needs to handle materials with accuracy but at the same time scale up for overview shots. We have to treat a single stitch on a seat with the same love and attention to detail as a high speed train travelling through kilometres of landscapes or a plane thousands of feet in the sky, flying over a mountain range. V-Ray seems to thrive on that stress testing. I am interested in other engines on the side but I can’t imagine anything else doing what V-Ray does for us and it has stood the test of time so far. Have you changed how you use V-Ray over the years? Definitely our approach to Brute Force. We use Brute Force for rendering after pre-calculating the light cache. We knew that switching our pipeline from light cache and irradiance maps to light cache and brute force would increase render times, but for the accuracy and detail we gain, we’re prepared to sacrifice some time optimisation. Fortunately, Brute Force rendering is getting a lot quicker with latest releases and, as there are no issues with the way we set it up for flickering, we’ve welcomed the improvements from V-Ray and our clients continue to welcome the output. When do you use YellowDog for rendering? Once we’re happy with our scenes, we use YellowDog. 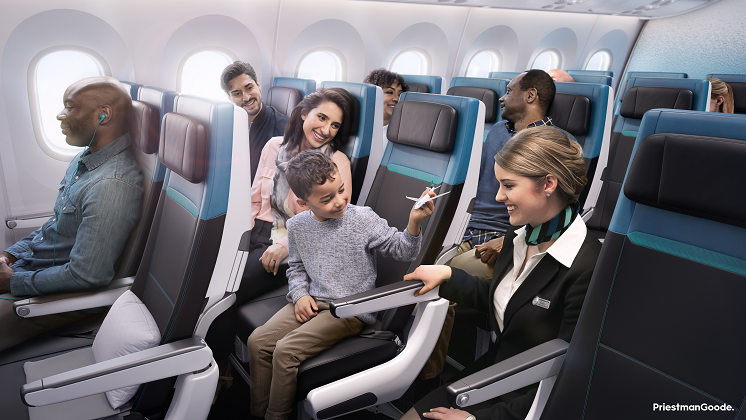 For a recent project for Canada’s second largest air carrier, WestJet, we designed their new 787 Dreamliner and made three, 360° movies for each of the different classes in the cabin: Economy, Premium, and Business. Without V-Ray and YellowDog’s online platform, this project would not have been possible. We combined our V-Ray renders with our green screen live action footage to add a service aspect, which WestJet are renowned for, to the films. Green screen has become more important and more standard in what we recommend; getting real people into the narrative of the story is a great way to communicate a personal touch to corporate videos for national and international brands. While we have a render farm in the studio, which we use for all of our development renders and general day to day still images, when it comes to the real meaty stuff and the projects where we want companies like WestJet to sit back and say “Wow!”, we use YellowDog. The main benefit is simple: pure speed. PriestmanGoode have been around for a few years and we have used render farms in the past; what’s important to me and my team is the support we get from YellowDog in comparison to render farms. It is just better: we have a dedicated account manager whose job it is to help me, not just close a support ticket. If I have a question, need a favour, or really need to crank up the speed, not only do I know that the platform is built for high performance, but I know I can do it with a quick phone call or email to someone that I know and trust. Is Cloud rendering value for money? We had a situation only last month where we needed to render more than we had left on our account. With the help of our account manager, we simply brought credit forward from a future month at no additional charge – problem solved! For me, this flexibility is priceless. Not only do you access fast render times, you also pay for the luxury of not having to spend time explaining cash flow to the accounts department when you’re in the middle of a big project. Before YellowDog, we’ve just loaded our credit card details onto a website and burned through whatever the rendering cost and hoped that it would be fast enough and good enough – sometimes this worked out well, sometimes it didn’t. How do you expect things to change over the next 12 months in visualisation? I see the lines between visual effects and visualisation becoming more blurred. As I’ve already said, we use a lot of green screen and I can see more of that happening as clients push for film-level quality. We’re located just outside of Soho in London so we are on the edge of the visual effects hub. Whether a person is working on the latest Marvel instalment, or a top of the range new airline, the skillsets of each may not be as different now as they were even a year or two ago. I expect to see more skill migration between film and visualisation, and in my view that could breathe new life into a buoyant visualisation industry. What’s your advice for people looking to get into visualisation? Get references so that you’re ready to bring ‘film’ into ‘visuals’. Watch movies, watch TV, snap ‘stuff’ with your phone, take inspiration when you can and keep a diary. I check regular blogs most days which are more fashion / automotive based but how photographers use light to portray a brand or emotion is so transferable. I keep a record of what I like so that I can pull up ideas for projects that don’t even exist yet. Capturing what you like when you’re out of the studio and surrounded by references makes the job of authentically driving creativity much easier. Lastly, I’d say that willingness to learn and a drive to be the best goes a long way. I would certainly take on a less skilled but more hungry artist then someone with vast skills but not the drive to push them. Find out more about YellowDog’s award winning render platform.